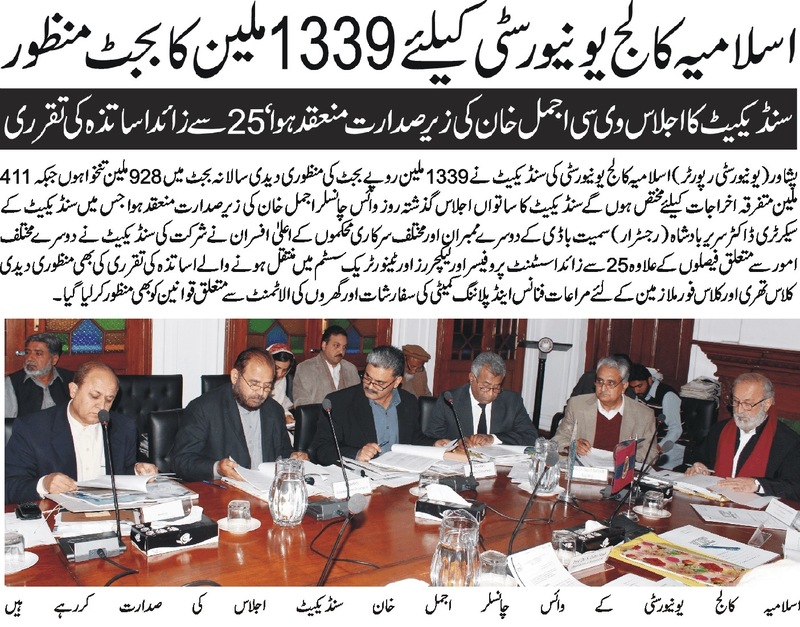 Academic Council Meeting presiding by Vice Chancellor Ajmal Khan. 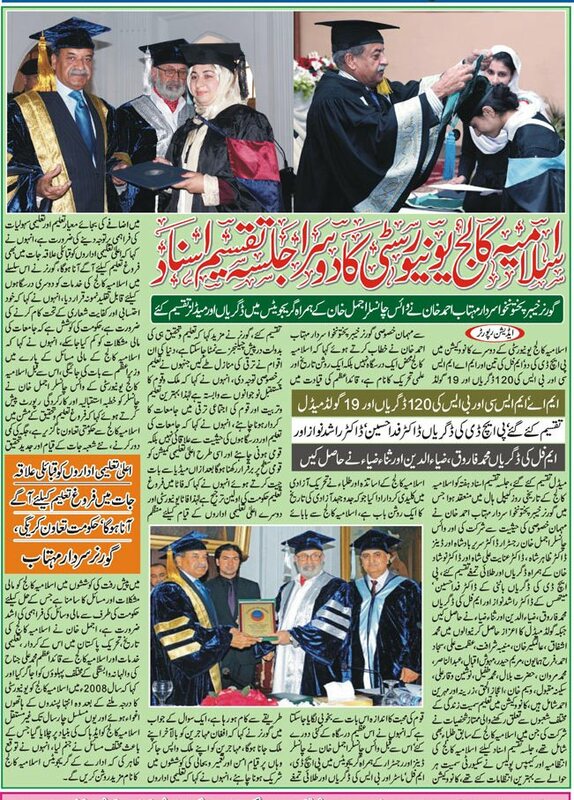 MOU sign between Urdu University Karachi and Islamia College, Peshawar. 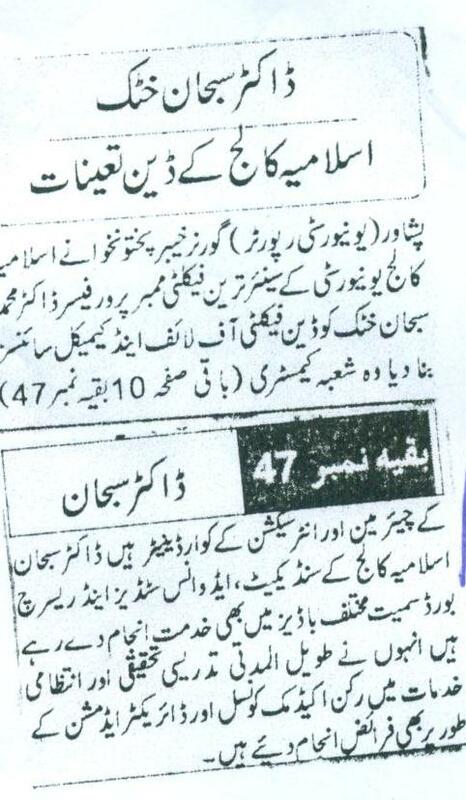 Rohoollah completed his M.Phil Degree from Islamia College, Peshawar. F.A/F.Sc admissions open in Islamia College, Peshawar. 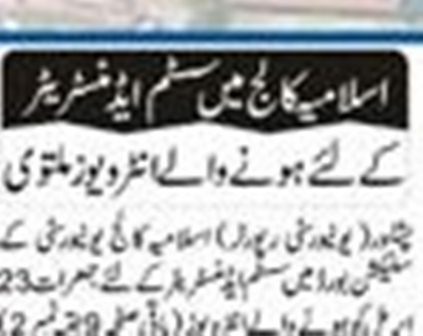 Islamia Collegiate School students got 8 positions in top 20 of BISE, Peshawar. 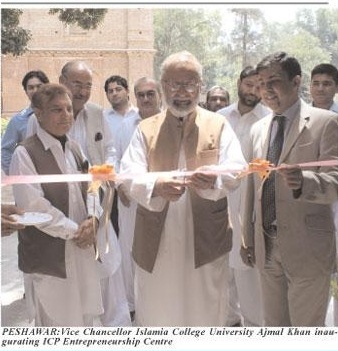 Inaugurating of ICP Entrepreneurship Center by Vice Chancellor's Ajmal Khan. Nadia Gul Lecturer in Islamia College, Peshawar completed her full bright from USA. Closing Ceremony of three Days International dHumanitarian course. A Group Photo of Research Scholars with Dr. Sareer Badshah ,Regisrar Islamia College, Peshawar. Oath Ceremony of Sanitation Staff Association , Islamia College, Peshawar. 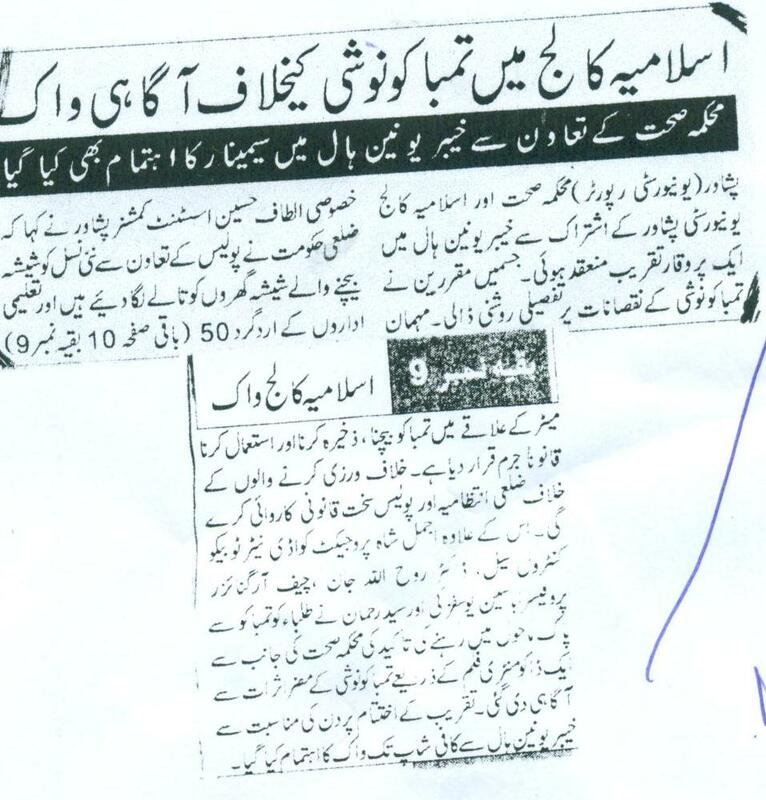 Establishment of Mosque in Islamia Collegiate School, Tribal Hostel. International Cricketer Muhammad Rizwan Visit Islamia College, Peshawar. 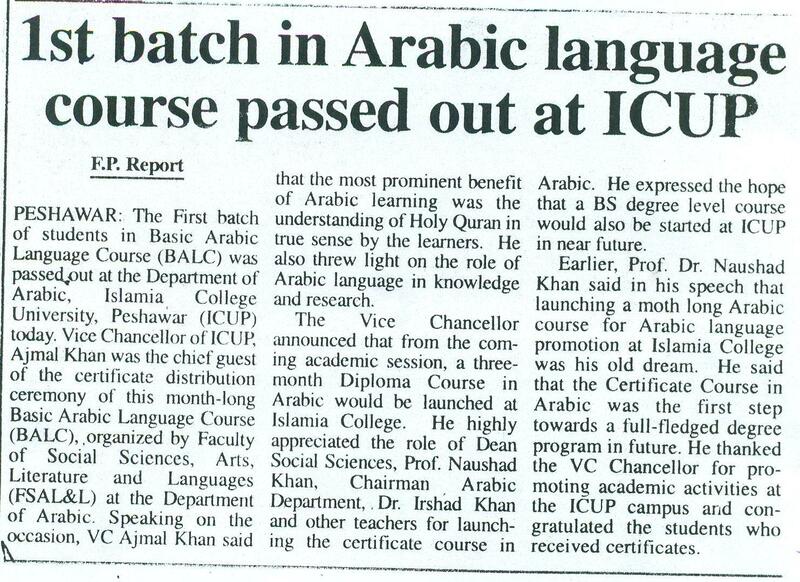 First Batch in Arabic Language course passed out at ICUP. 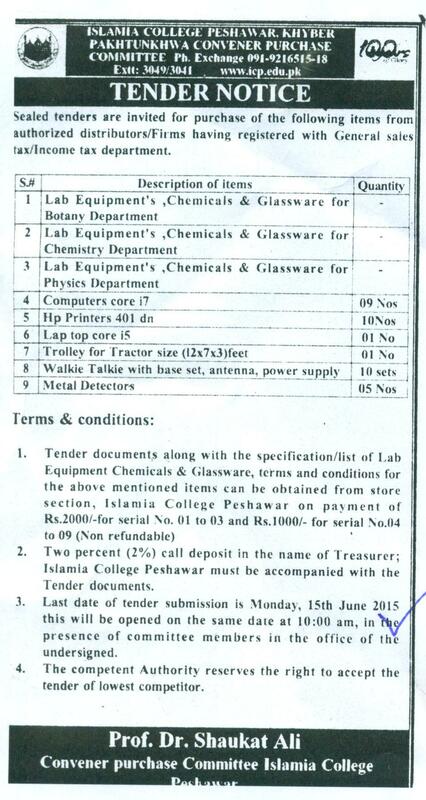 Tender Notice for the purchase of various items. 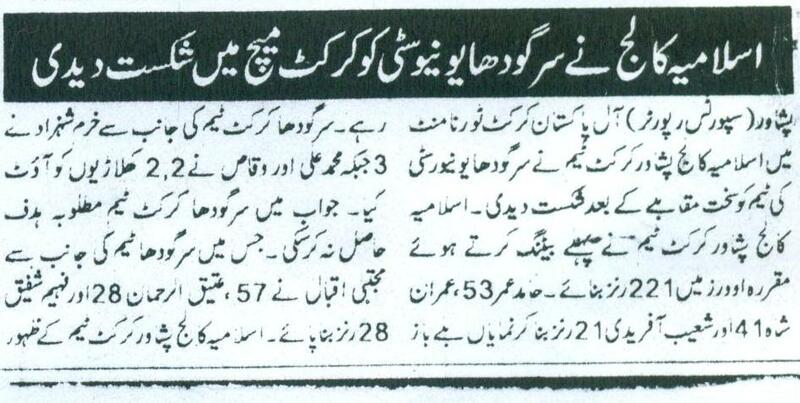 Islamia Collegiate won Bazme Shaheen Competition. The Meeting of Tribal Elders with the Mr. Ajmal Khan, Vice Chancellor's Islamia College, Peshawar. Walk against Smoking in Islamia College,Peshawar. Talented students are the capital for the country. Outstanding positions of University Public School in different competitions. ICUP inks MoU with South Korean University. 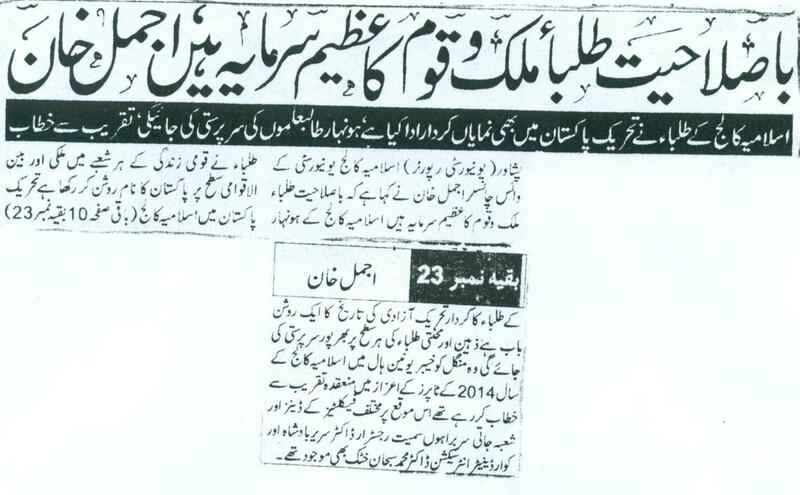 Vice Chancellor Ajmal khan returned from official tour to Canada. 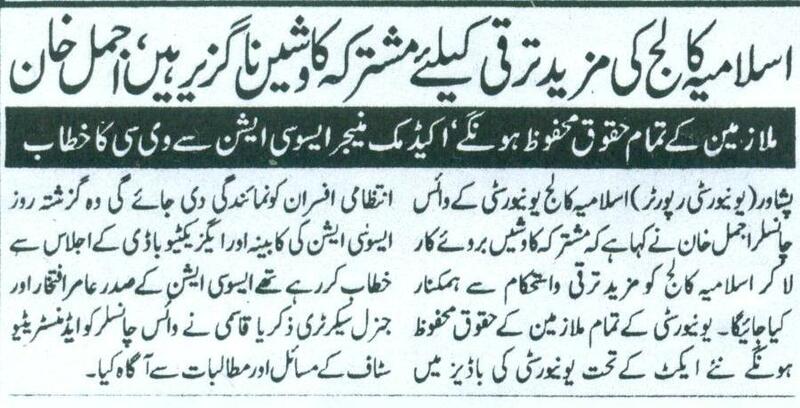 Department of Arabic, Islamia College, Peshawar Launched certificate courses. Islamia College Cricket Team beat Sargodah University Cricket Team. One Day Seminar on Woman Rights by the department of Law and Shaia, Islamia College Peshawar. 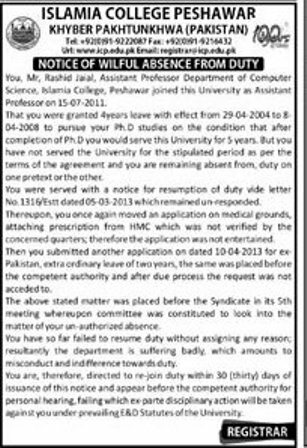 Mr. Fahad Afridi Lecturer Management Sciences completed his Ph.D from Abasyn University. 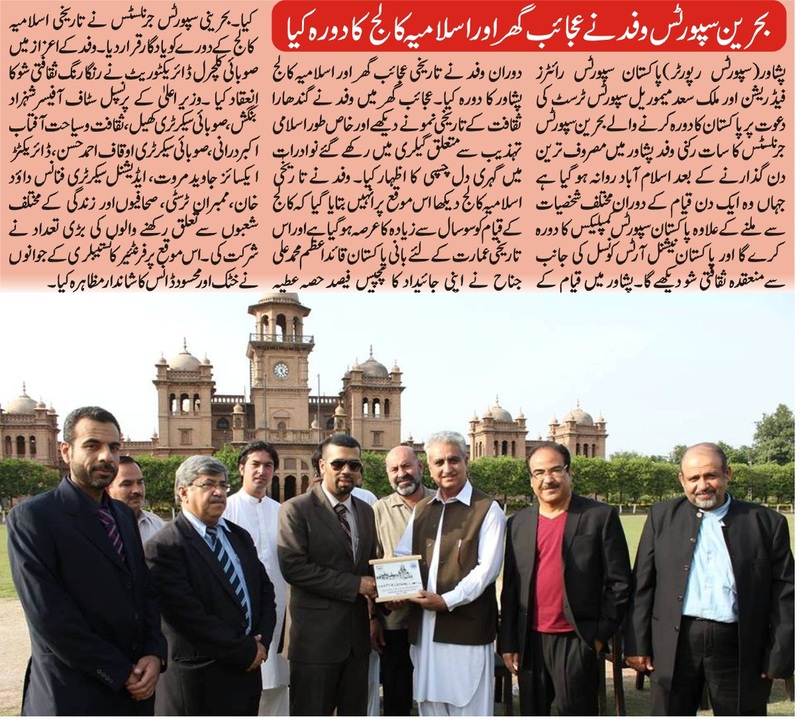 Bahrin Sports delegation visit Islamia College, Peshawar. Squash Player Nasir Iqbal invited for Lunch in Islamia College, Peshawar. 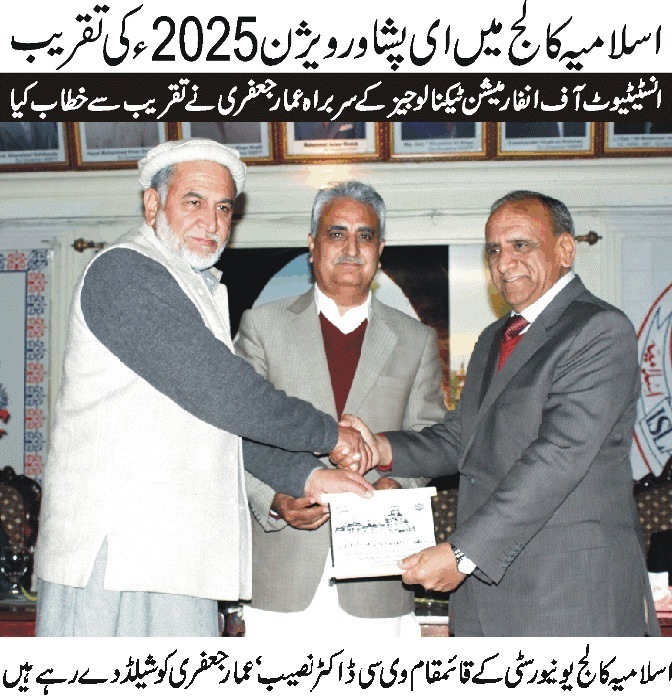 Prof. Zahir shah retired from Islamia College, Peshawar. 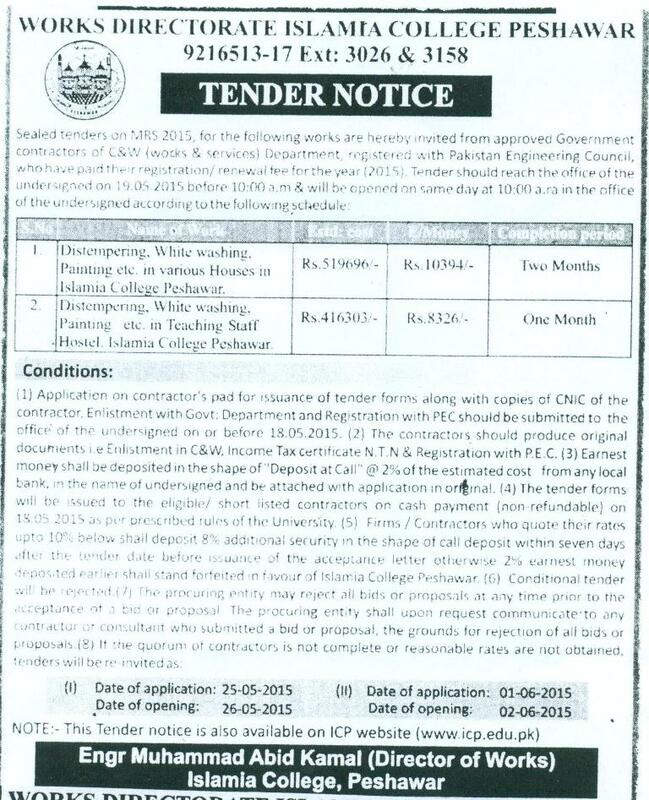 Tender Notice by Directorate of Works Islamia College, Peshawar. Farewell party for class 10 students in Islamia Collegiate, Peshawar. Islamia collegiate is on the way towards success. Notice of willful absence from duty. A group photo with Vice Chancellor Ajmal Khan in a workshop in icp. Chairman BISE, Peshawar visit Islamia Collegiate SSC examination hall. 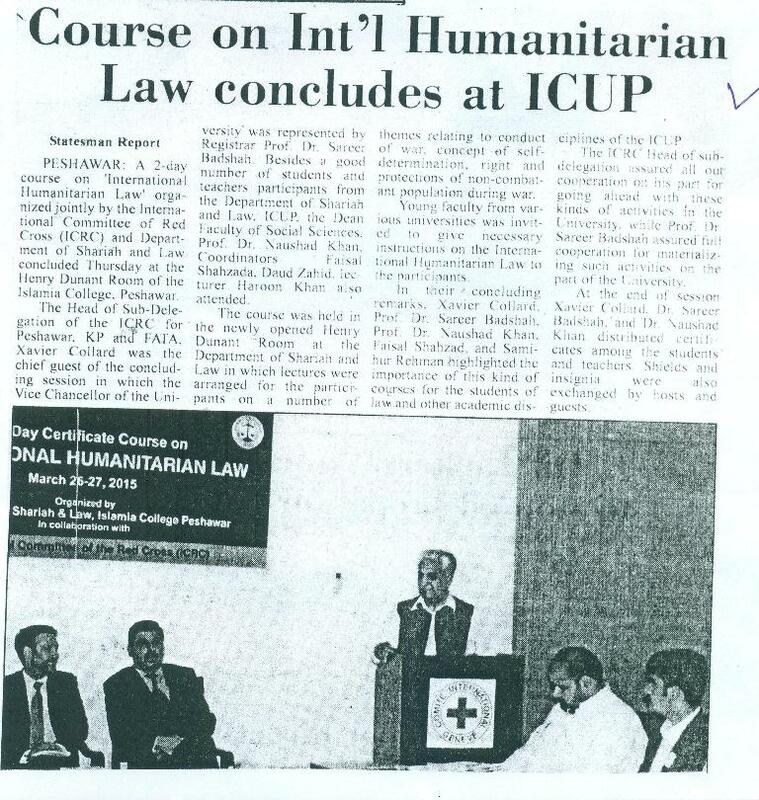 Course on Int'l Humanitarian Law concluded at ICUP . Tender Notice for various items. State Bank of Pakistan Issued 20 rupees coin by the name of Islamia College, Peshawar. Provincial Government hand over an Ambulance to Islamia Collegiate School. Sana Zia MPhil Scholar of Islamic Studies completed her degree. Hanns Seidel Foundation Pakistan officer visit Islamia College, Peshawar. Prof. Noshad Khan has appointed as Dean, Faculty of Social Sciences, Arts and Languages. Five Days Training Workshop on " Capacity Building of Teaching / Non teasing staff of Islamia College, Peshawar". Organized by Quality Enhancement Cell with the collaboration of HEC. 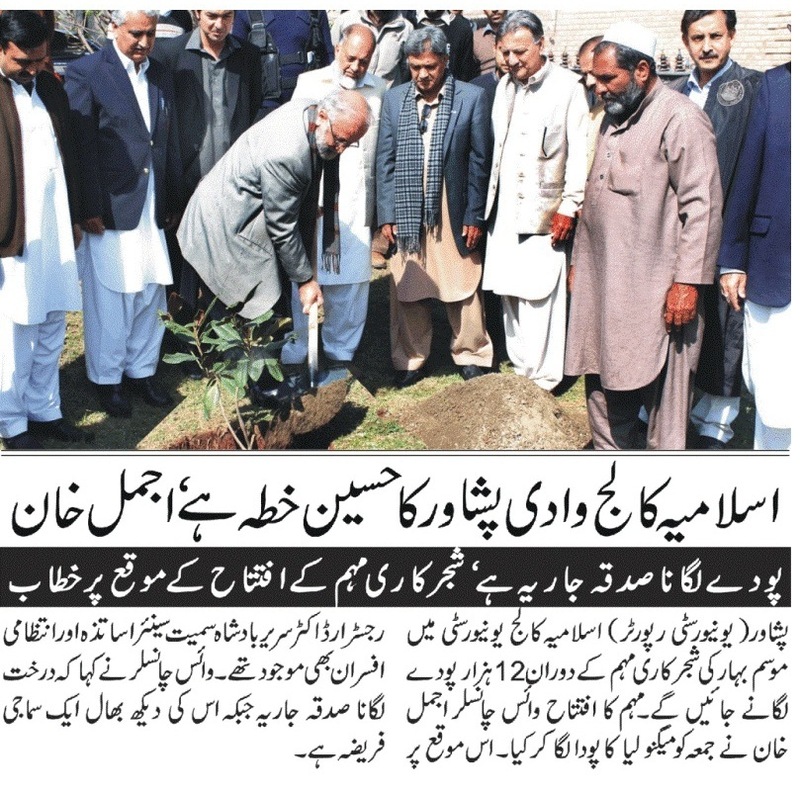 Mr. Sajid Anwar (MNA) visit Islamia College, Peshawar. 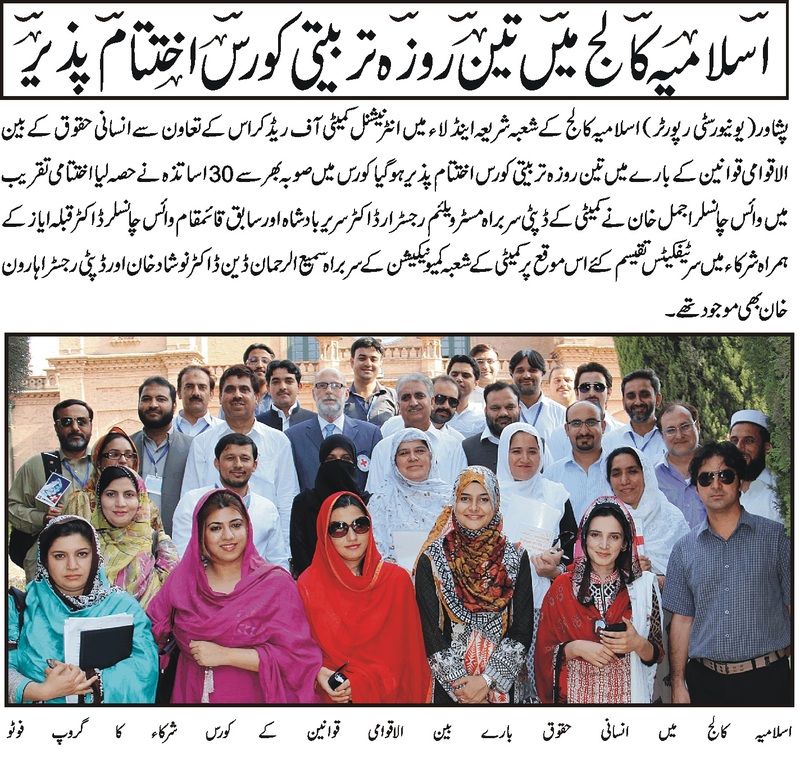 Pak Khyber Youth Welfare Organization conduct two days training workshop in Islamia College, Peshawar. Muhammad Fayaz Khan donated one lakh Rupees for Centenary Celebration of Islamia College. 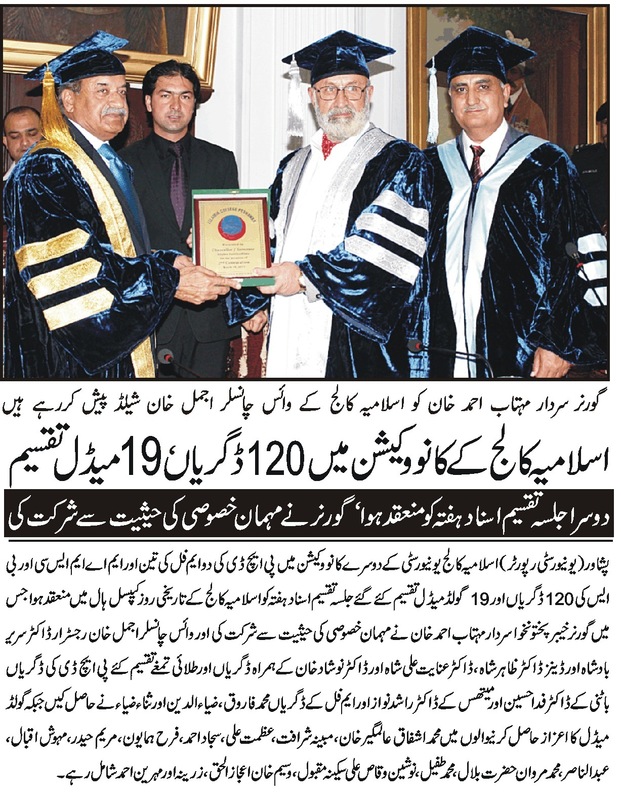 Second convocation of Islamia College will be on 14 March 2015. Admission notice Session 2015-16 Islamia Collegiate School Peshawar. 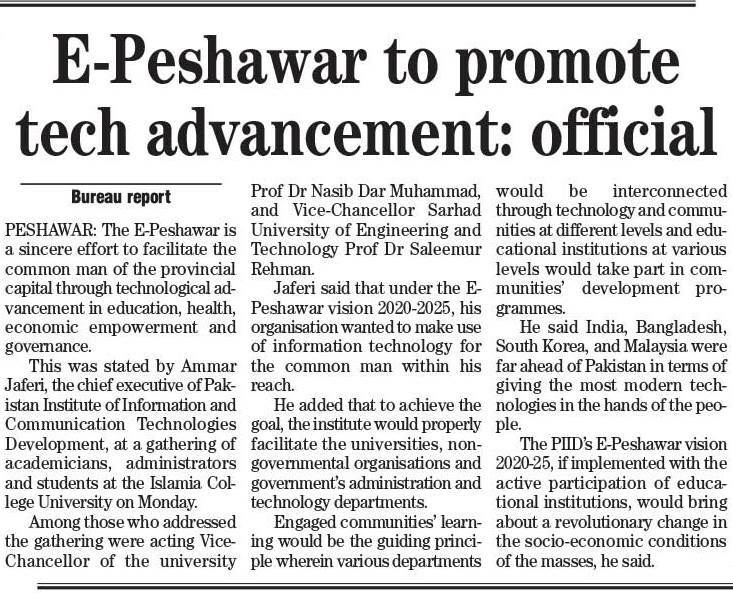 Seminar on E-Peshawar project in ICP. 7th Syndicate Meeting presiding by Vice chancellor Ajmal Khan, Islamia College, Peshawar. Pray ceremony for souls of children of Army Public School Peshawar martyrs held at Islamia College, Peshawar. Allam Iqbal Shield Speech Competation in Isalmia College, Peshawar. Annual Sports Galla in Islamia Collegiate , Peshawar. 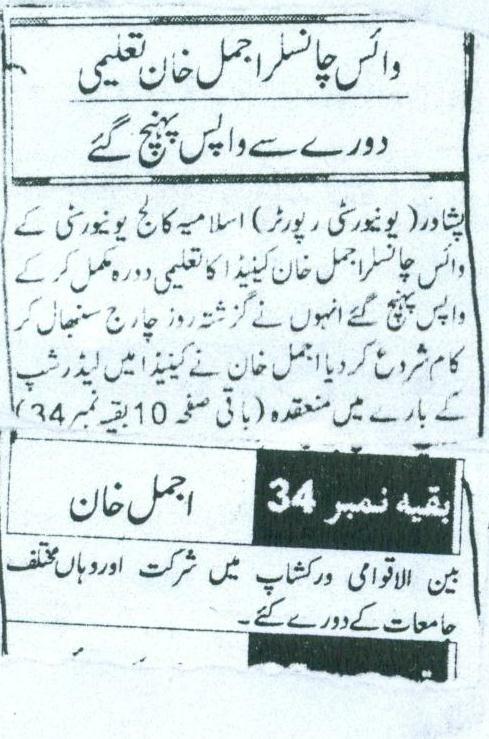 Ex Vice Principle Dr. Sharukh Choghtai , Islamia College, Peshawar has passed a way. Prof. Ajmal Khan visit Video Conference Room in University of Swat. 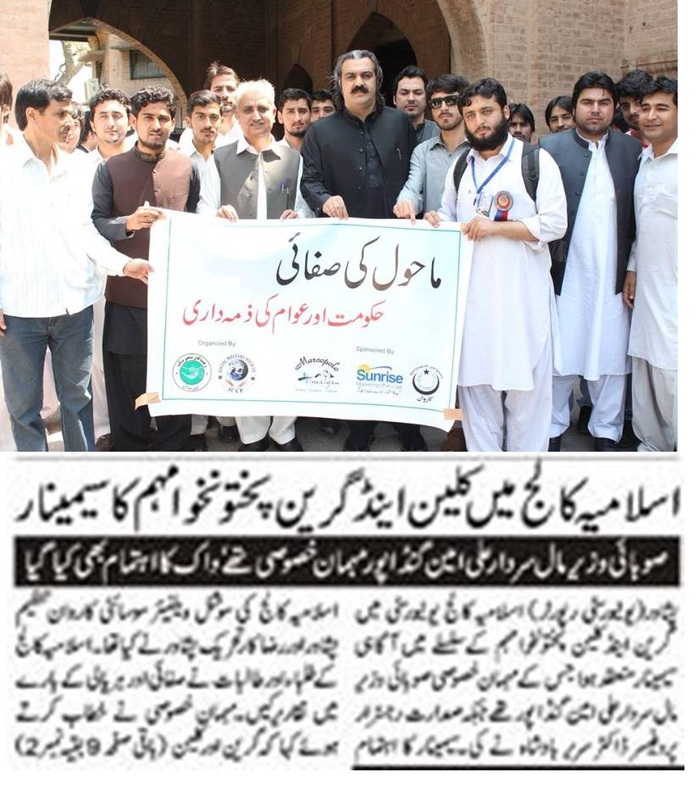 Information Minister KPK Mr. Mushataq Ghani visit Islamia College, Peshwar. Pashtoo Annual Day in Islamia College, Peshawar. 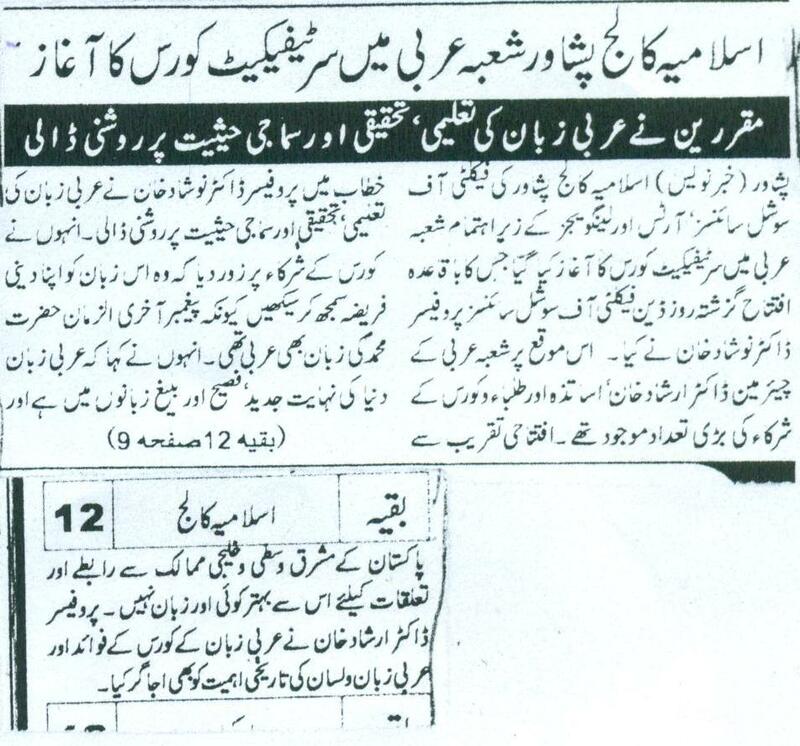 Approval of the New Campuses of Islamia College, Peshawar In FATA. 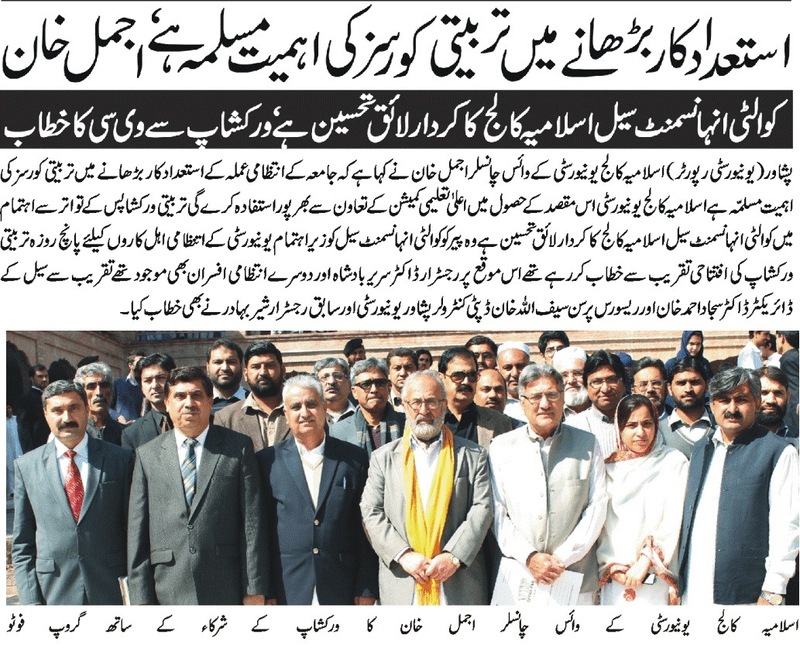 A visit of Azar aijan delegation to Isamia College, Peshawar.